Since we moved to Iloilo, my favorite afternoons are when I go to Gamot Cogon School as a parent volunteer after school monitor. The presence of an adult is needed for the kids left in school attending clubs, doing homework or remedial or simply waiting for their ride home. Not that they need any supervision. The kids are behaved and just do their work or play and a presence of a monitor is basically for emergency cases, which, thank God haven’t occurred. These afternoons are my favorite because the school is just lovely. It is nestled on the plains and embraced by two rivers, surrounded by rice fields and tall cogon grass and trees. The campus is six hectares wide with lots of natural free play space. The buildings are mostly made of wood and bamboo. The walkways aren’t paved and there are lots of plants everywhere, there are vegetable gardens and even a rice plot that the children themselves planted! I enjoy the fresh breeze, the birds tweeting and the over-all feel of communing with nature. 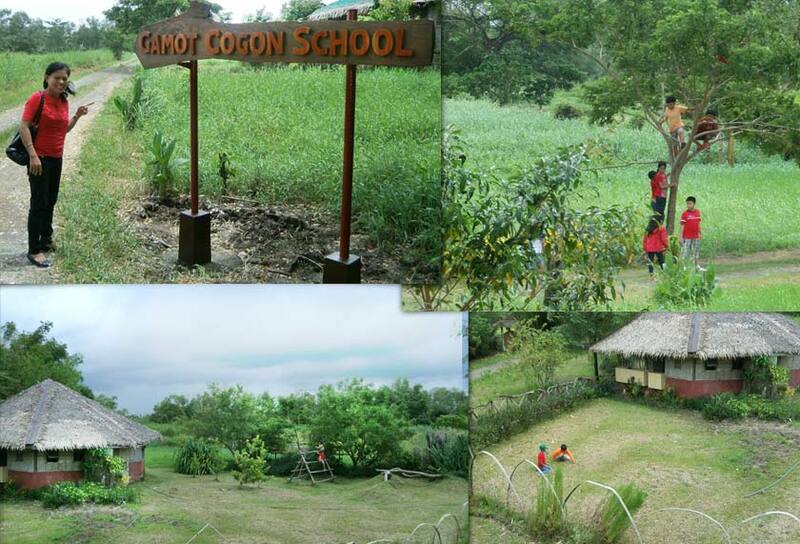 A Steiner-Waldorf school, Gamot Cogon provides a holistic, natural and less-stress education. As new GCS parents, we were told that the school encourages unprocessed organic food for the students, as well as natural toys and free play. The children use stainless steel lunch packs and are told to go easy on sweets. As a vegetarian parent to a vegetarian teenager, I felt that this school is just what we need. The school is not perfect but the teachers and staff are trying their best. Very recently, they decided to be a plastic free school, banning single use plastic bags and containers and encouraging the use of glass, ceramic plates and stainless steel cutlery during lunch. There are already existing compost piles for garden trimmings but they will also install composting bins for leftover food. Since last year, I have been reading a lot and also writing and developing materials on ushering nature-child reunion. On this topic, I am a student of Richard Louv, as well as other environmentalists, who explain the importance of our relationship with nature and how this relationship will ensure that the planet will be taken cared of in the future generations. Gamot Cogon is a school that honors that relationship. The nature walks, outdoor play, songs, verses, the main lesson blocks and everything about the school is an attempt to inculcate to the child that she is a part of the cosmic creation, that she is not separate from it. When you enter Gamot Cogon, you’re in a space where you can commune with nature. I have a feeling that the Gamot Cogon kids will grow attuned to nature; that they will defend the environment and have a sense of compassion and love for creation.They will be the future doctors, engineers, teachers, farmers, artisans and cultural creatives who will help heal the planet. My heart swells with pride whenever I say my son is a Gamot Cogon student, and I am a GCS parent.